Autumn leaves backgrounds collection. 100% vector! 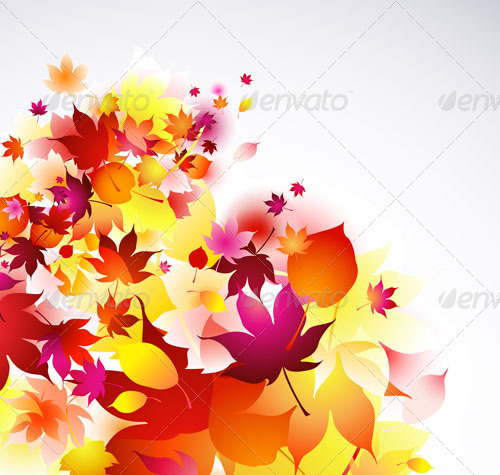 Beautifully detailed autumnal vector backgrounds with colorful vibrant red, orange, yellow transparent flying leaves isolated on white ground. 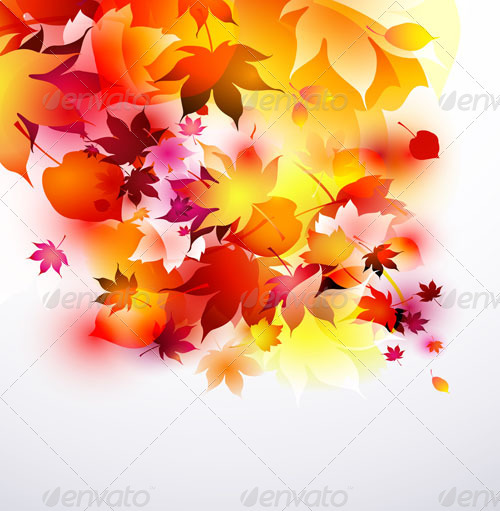 The fresh abstract fall designs are great to decorate modern websites with autumnal themes, web presentations, holiday greeting holiday cards, banners, posters, brochures, letterheads, flayers, etc. 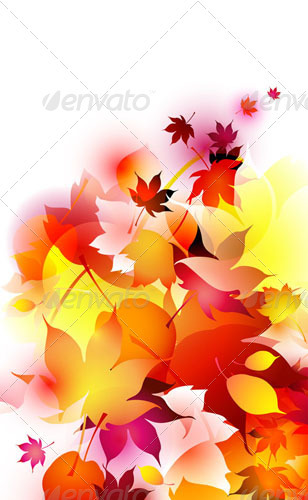 Great for special autumnal events, parties, holidays (Halloween, Thanksgiving). Design is editable and scalable to any size!